Kiddo’s school had a Breakfast with Santa thing today. 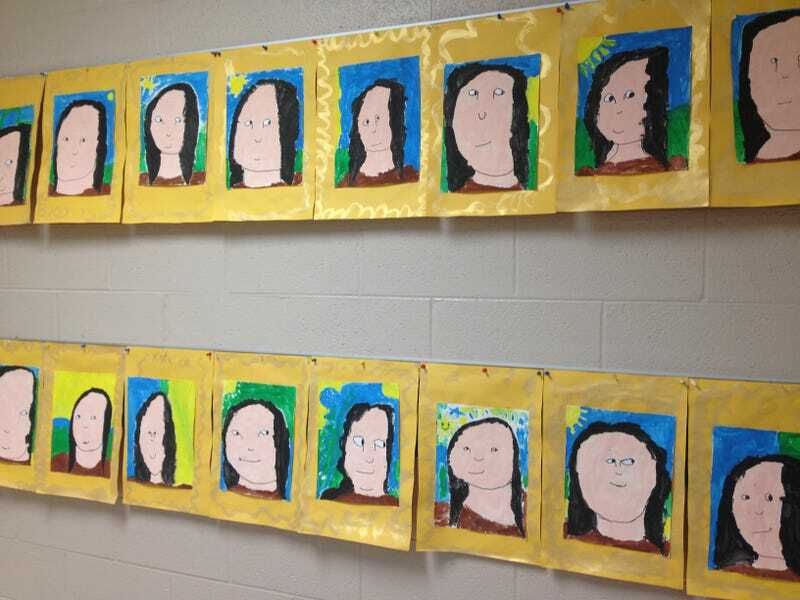 While waiting in line, I enjoyed the 1st grade art project, where they did a version of the Mona Lisa. It was a whole wall of side eye, and it was glorious.